Presented in a box with two glasses, the Rum HSE Special Reserve VSOP is characterized by an amber color with highlights of fawn. 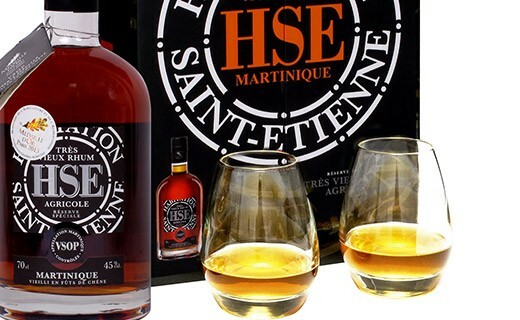 The rum HSE Special Reserve VSOP is characterised by a nose that slowly opens with aromas of prunes and toffee. The mouth, lively and feisty, reveals flavors of beeswax and stewed fruit with hints of spices and vanilla. 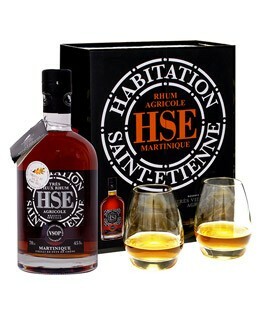 Highly concentrated tannins, this rum HSE Special Reserve VSOP ends with a final spicy originally.